From April 2020, the availability of Principle Private Residence Relief (PPR) and Lettings relief will be reduced, with more taxpayers potentially subject to Capital Gains Tax (CGT) on disposal of their properties. PPR relief shelters taxpayers from paying CGT on disposal of their main homes and covers not only the period of occupation, but an additional period before disposal. Currently, the final 18 months of ownership (‘exempt period’) is covered by PPR relief, regardless of occupation of the property. This changes for disposals after 5th April 2020 when the exempt period is halved to 9 months. Lettings relief is available to taxpayers qualifying for PPR relief and can be claimed in addition to PPR relief when the property has been let to a third party. 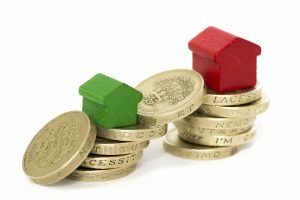 Lettings relief can be used to reduce any chargeable gain resulting during the let period and is currently worth up to a maximum claim of £40,000 per person, which is doubled to £80,000 in the case of a married couple disposing of a joint property. From April 2020, Lettings relief will only be available to owner-occupiers. Those who rent out their properties but no longer live there at the same time as their tenants will not be eligible for the relief and are likely to suffer a charge to CGT when the property is sold. There is still a year before the changes kick in and we can discuss your options if you are a homeowner considering selling your property in the next couple of years. Please contact [email protected] to find out what the changes could mean for you and how you can optimise your tax position. 01527 558539. More info on our services. More info on PPR relief from HMRC.